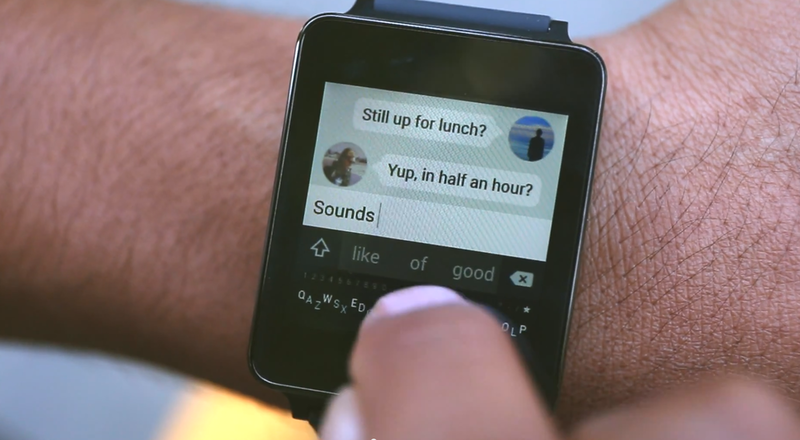 Not content with Google Glass, the folks behind Minuum are tackling the input problem on Android Wear. According to Minuum, “oodles” of people want a really tiny keyboard they can use on their watch, a call which the developers are pleased to answer. While the team has already revealed a prototype version of the keyboard for circular devices, a video released today shows the square design. The keyboard kind of looks like a shrunken-down version of the full Minuum keyboard, which was probably the goal. Personally, I wouldn’t think the limited real estate of smartwatches makes them conducive to text input, but some apparently disagree. A preview version of Minuum for Android Wear is available to those who sign up for e-mail updates through Minuum’s blog. You’ll need either the Gear Live or G Watch to test it.